After a complete renovation on the space that previously housed the Proud Pony Lounge, the BottleHouse Bar expects to have all of the major improvements completed by year’s end. From new flooring and new ceilings, remodeled bathrooms, a new bar and bar equipment, six new smoke eaters and new furniture, new owners Russell and Brittany Bennett have pulled out all the stops to create a new and more inviting atmosphere. “Renovations have taken a while as we’ve stayed open for business while completing the work,” said Brittany. BottleHouse Bar is a neighborhood, full liquor bar with live music that also has an extensive bottled beer selection featuring 75 different options. There is karaoke every Tuesday night starting at 9 p.m., live music every Friday and Saturday at 10 p.m., plus there are three pool tables, two new dart boards, a Silver Strike bowling game and video arcade machine Mega Touches. Guests can also enjoy their favorite team on Sunday as the bar has the complete NFL package. Brittany adds that starting in 2015, BottleHouse Bar will start serving a limited menu of food, including chicken wings and other typical bar foods. Live bands include many local favorites such as The Velvet Jones Band, Zebron & James, Broken Note and others. “This is a fantastic location and this bar just needed some TLC,” Brittany said. 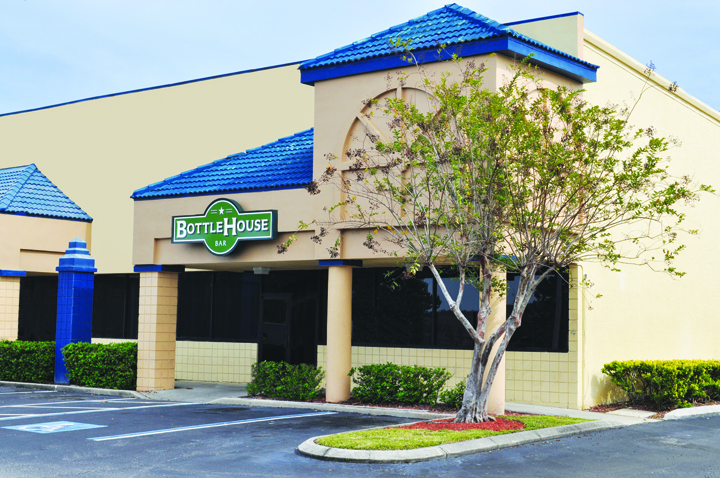 The BottleHouse Bar is located at 5902 S. Gornto Lake Rd., on the Northeast corner at Bloomingdale Ave. Hours are 11 a.m.-3 a.m. seven days a week. Be sure to like BottleHouse Bar on Facebook to keep up-to-date on live entertainment scheduled. For more information, call 623-5700.